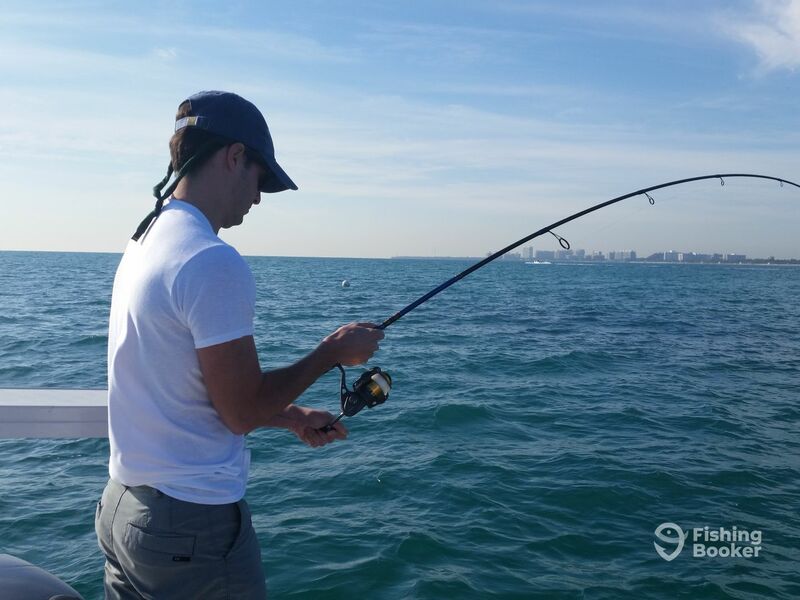 Hot Fishing in Miami Today! Good friends Jason and Brian were on a brief vacation before they headed to opposite ends of the country and wanted to get some fishing in. Under another day of clear skies, light breeze and early morning temperatures in the 50’s, today was certainly more productive than yesterday. Peeling drag consistently, we went through over 50 baits in about an hour and a half. The action was non-stop with snappers, small amberjacks, big blue runners, yellow jacks a few mackerel cut offs, trout and a few mystery fish we couldn’t keep away from structure. We caught fish on baits, soft plastics and lures. What a blast to see rods bent every few seconds, this is what winter in Miami is all about!